Within St Anne’s the Catholic ethos helps our students develop personally, socially, emotionally and spiritually whatever their religion or background. This ethos encourages a strong community within the sixth form and across the age spectrum of the school. Each year numerous charities benefit from the work that St Anne’s sixth formers do as they lead various fund raising activities. Tutor - Each student is part of a tutor group made up of year 12 and year 13 students. 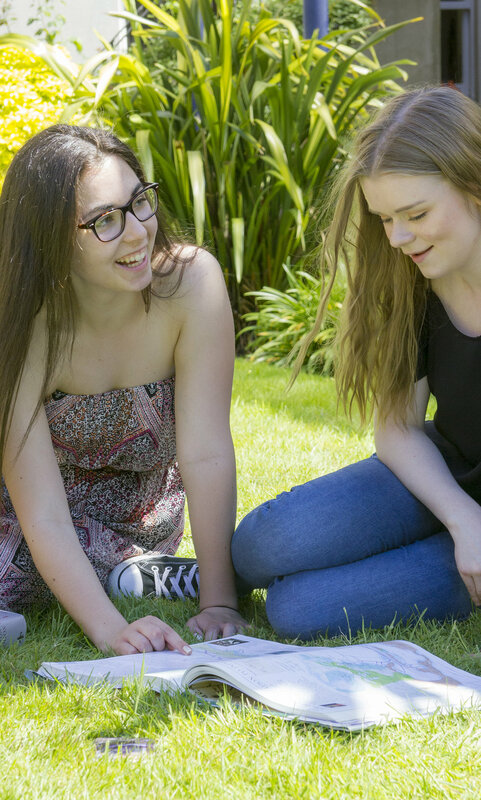 The tutor works with them closely for their whole time in the sixth form, seeing them most days, and as such they are the first port of call when a student is facing challenges. They are also the people who write the reference for a student’s university application so the relationship and understanding between them is important. Head of Year 12 – To allow for a smooth transition from Key Stage 4, the Head of Year 11 continues as Head of Year 12. This ensures that students are known and cared for right from day one in year 12. Head of Sixth Form - With small numbers of students in the college the Head of Sixth Form, alongside the tutor, can get to know the students personally and support them in their studies. This personal touch is vital in helping young people to develop into confident and happy adults. Subject Teachers - The relationship between a student and his or her subject teacher has a different feel to it than that of one in the lower years of the school. The teachers at St Anne’s are experienced and subject specialist staff with regards to sixth form teaching and they take great pride in the development of their sixth form students. Careers Adviser - St Anne’s has specialist careers advisers to guide you through the choices available after A levels. Off-site activities back up this advice with various visits to higher education establishments to help you to make the right choices. Financial Support - Financial support is available to those who need it during their time at St Anne’s sixth form. The cost of travel is also paid to all students travelling to the college from a distance of 5 miles or more.